Match ends, Bosnia and Herzegovina 5, Gibraltar 0. Second Half ends, Bosnia and Herzegovina 5, Gibraltar 0. Goal! Bosnia and Herzegovina 5, Gibraltar 0. Ermin Bicakcic (Bosnia and Herzegovina) right footed shot from the centre of the box to the bottom left corner following a set piece situation. Armin Hodzic (Bosnia and Herzegovina) wins a free kick on the right wing. Attempt blocked. Edin Visca (Bosnia and Herzegovina) right footed shot from outside the box is blocked. Assisted by Gojko Cimirot. Foul by Mario Vrancic (Bosnia and Herzegovina). Substitution, Gibraltar. John Paul Duarte replaces Kyle Casciaro. Lee Casciaro (Gibraltar) wins a free kick in the attacking half. Attempt saved. Anthony Bardon (Gibraltar) right footed shot from outside the box is saved in the bottom right corner. Assisted by Kyle Casciaro. Attempt missed. Mario Vrancic (Bosnia and Herzegovina) left footed shot from the centre of the box misses to the left. Assisted by Ermin Bicakcic. Attempt missed. Edin Visca (Bosnia and Herzegovina) right footed shot from the left side of the box is too high. Assisted by Rijad Bajic. Corner, Bosnia and Herzegovina. Conceded by Roy Chipolina. Attempt blocked. Armin Hodzic (Bosnia and Herzegovina) right footed shot from the centre of the box is blocked. Assisted by Ermin Bicakcic. Attempt missed. Armin Hodzic (Bosnia and Herzegovina) right footed shot from outside the box misses to the left. Substitution, Bosnia and Herzegovina. Rijad Bajic replaces Avdija Vrsajevic. Substitution, Gibraltar. Anthony Bardon replaces Robert Guilling. Attempt blocked. Edin Visca (Bosnia and Herzegovina) right footed shot from the centre of the box is blocked. Assisted by Armin Hodzic. Attempt saved. Gojko Cimirot (Bosnia and Herzegovina) right footed shot from outside the box is saved in the bottom right corner. Assisted by Vedad Ibisevic. Corner, Bosnia and Herzegovina. Conceded by Jason Pusey. Foul by Daniel Pavlovic (Bosnia and Herzegovina). Attempt missed. Armin Hodzic (Bosnia and Herzegovina) left footed shot from the centre of the box misses to the right. Assisted by Mario Vrancic. Offside, Bosnia and Herzegovina. Mario Vrancic tries a through ball, but Avdija Vrsajevic is caught offside. Attempt missed. Ermin Bicakcic (Bosnia and Herzegovina) header from the centre of the box misses to the left. Assisted by Mario Vrancic with a cross following a corner. Corner, Bosnia and Herzegovina. Conceded by Jean Carlos Garcia. Attempt missed. Mario Vrancic (Bosnia and Herzegovina) left footed shot from outside the box is too high. Assisted by Edin Visca. Substitution, Bosnia and Herzegovina. Mario Vrancic replaces Miralem Pjanic. Goal! Bosnia and Herzegovina 4, Gibraltar 0. Edin Visca (Bosnia and Herzegovina) right footed shot from the centre of the box to the bottom left corner. Assisted by Avdija Vrsajevic with a cross. Substitution, Gibraltar. Jason Pusey replaces Keneth Chipolina. Goal! Bosnia and Herzegovina 3, Gibraltar 0. Avdija Vrsajevic (Bosnia and Herzegovina) right footed shot from the right side of the six yard box to the top right corner. Assisted by Daniel Pavlovic with a cross. Attempt missed. Armin Hodzic (Bosnia and Herzegovina) left footed shot from the left side of the box misses to the left. Assisted by Miralem Pjanic. Attempt missed. Edin Cocalic (Bosnia and Herzegovina) header from the centre of the box misses to the right. Assisted by Miralem Pjanic with a cross following a corner. Attempt missed. Miralem Pjanic (Bosnia and Herzegovina) right footed shot from outside the box misses to the right. Assisted by Daniel Pavlovic. 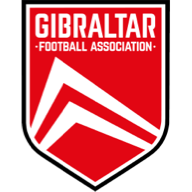 Second Half begins Bosnia and Herzegovina 2, Gibraltar 0. Substitution, Bosnia and Herzegovina. Daniel Pavlovic replaces Sead Kolasinac. First Half ends, Bosnia and Herzegovina 2, Gibraltar 0. Attempt missed. Vedad Ibisevic (Bosnia and Herzegovina) header from the centre of the box misses to the right. Assisted by Miralem Pjanic. Offside, Gibraltar. Deren Ibrahim tries a through ball, but Lee Casciaro is caught offside. Offside, Bosnia and Herzegovina. Gojko Cimirot tries a through ball, but Armin Hodzic is caught offside. Goal! 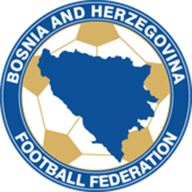 Bosnia and Herzegovina 2, Gibraltar 0. Vedad Ibisevic (Bosnia and Herzegovina) header from very close range to the high centre of the goal. Assisted by Edin Visca. Attempt blocked. Edin Visca (Bosnia and Herzegovina) right footed shot from outside the box is blocked. Assisted by Vedad Ibisevic. Armin Hodzic (Bosnia and Herzegovina) wins a free kick in the defensive half. Foul by Jean Carlos Garcia (Gibraltar). Avdija Vrsajevic (Bosnia and Herzegovina) wins a free kick in the defensive half. Foul by Liam Walker (Gibraltar). Attempt missed. Edin Visca (Bosnia and Herzegovina) right footed shot from the right side of the box is too high. Assisted by Vedad Ibisevic. Attempt saved. Miralem Pjanic (Bosnia and Herzegovina) right footed shot from outside the box is saved in the centre of the goal. Assisted by Gojko Cimirot. Foul by Kyle Casciaro (Gibraltar). Attempt missed. Edin Visca (Bosnia and Herzegovina) header from the centre of the box misses to the left. Assisted by Avdija Vrsajevic with a cross. Attempt missed. Ermin Bicakcic (Bosnia and Herzegovina) right footed shot from the centre of the box is close, but misses to the right. Assisted by Ervin Zukanovic following a corner. Attempt missed. Ervin Zukanovic (Bosnia and Herzegovina) header from the centre of the box misses to the right. Assisted by Miralem Pjanic with a cross following a corner. Attempt blocked. Lee Casciaro (Gibraltar) right footed shot from the centre of the box is blocked. Sead Kolasinac (Bosnia and Herzegovina) is shown the yellow card for a bad foul. Foul by Sead Kolasinac (Bosnia and Herzegovina). Corner, Bosnia and Herzegovina. Conceded by Robert Guilling. Attempt missed. Gojko Cimirot (Bosnia and Herzegovina) left footed shot from outside the box is high and wide to the right. Attempt saved. Armin Hodzic (Bosnia and Herzegovina) right footed shot from outside the box is saved in the bottom left corner. Assisted by Gojko Cimirot. Offside, Bosnia and Herzegovina. Ervin Zukanovic tries a through ball, but Edin Visca is caught offside. Attempt blocked. Armin Hodzic (Bosnia and Herzegovina) left footed shot from outside the box is blocked. Assisted by Vedad Ibisevic. Attempt missed. Edin Visca (Bosnia and Herzegovina) header from the left side of the six yard box is high and wide to the left. Assisted by Miralem Pjanic. Goal! Bosnia and Herzegovina 1, Gibraltar 0. Vedad Ibisevic (Bosnia and Herzegovina) right footed shot from the centre of the box to the bottom left corner. Assisted by Miralem Pjanic with a through ball. Corner, Bosnia and Herzegovina. Conceded by Aaron Payas. Attempt missed. Edin Cocalic (Bosnia and Herzegovina) header from the centre of the box is too high. Assisted by Miralem Pjanic with a cross following a corner. Attempt blocked. Armin Hodzic (Bosnia and Herzegovina) header from the centre of the box is blocked. Assisted by Ermin Bicakcic with a cross.